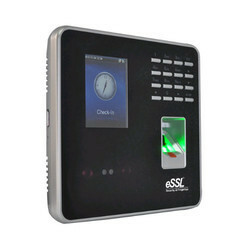 We are offering Face Recognition Time Attendance System to our clients. CPU: A33 processor, quad core , working frequency 1.2GHz. GST & Installation charges extra. Being an eminent organization in the industry, we are involved in trading a premium quality range of Face Recognition Attendance System. Under Access Control Devices we are providing various range of Biometric Devices, Face Recognizing Devices, Low Range RFID Devices, Biometric Door Locks, Video Door Monitoring Devices, Digital Webcams, Canteen Management Devices.